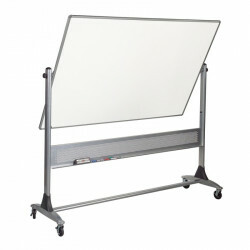 Get up to twice the functional space of a wall-mounted board with a versatile and mobile Platinum Reversible Board. 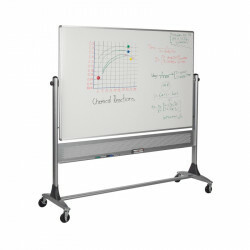 Mobile boards are double-sided. Panel is trimmed with modern anodized aluminum, rotates 360 deg on a pivot hinge, and locks into place with the turn of a knob. 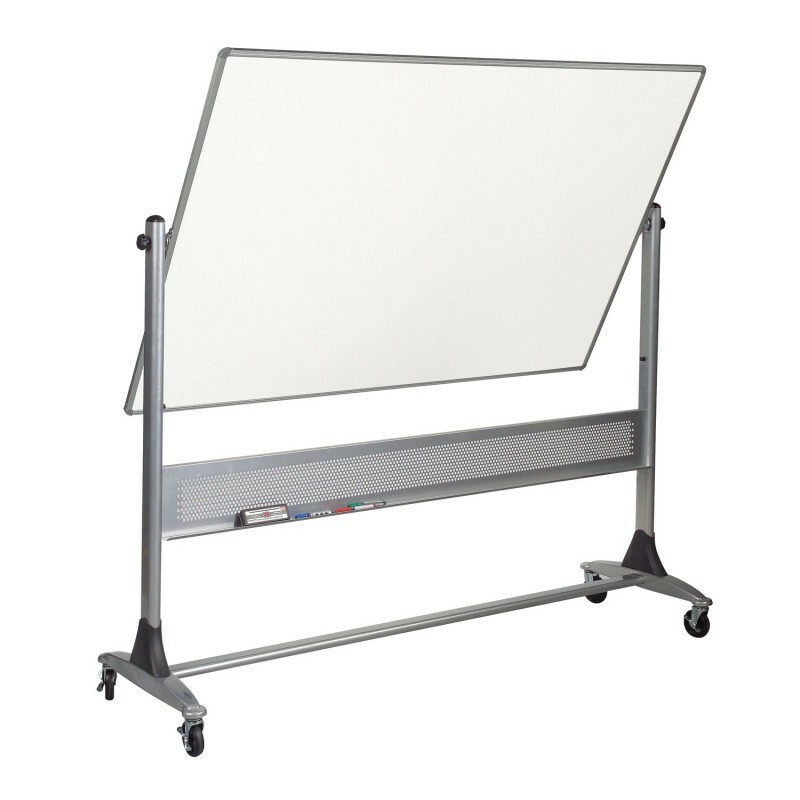 Trim includes a full-length accessory tray with perforated panel for style and stability. Wide base design for stability includes molded bumpers to protect walls, and 3" locking casters. TAA compliant.